Dubai, United Arab Emirates: The approach to IT spending in the Middle East needs to evolve from basing decisions on short-term return on investments to grounding them on long-term revenue generating opportunities, according to industry experts. 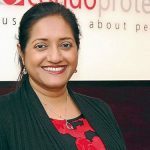 Savitha Bhaskar, Chief Operating Officer at Condo Protego, a leading data storage and security firm based in Dubai, highlighted the critical steps organizations need to take in order to reap the benefits that emerging technology has to offer. Responding to survey results that were revealed by the global IT and business transformation leader, EMC, during its industry forum last week, Bhaskar said IT managers need to build a better case when proposing investments in technology to the decision makers in their companies. Nearly two-thirds (64 per cent) of companies in the UAE believe that spending for technology falls outside the jurisdiction of the IT department, according to the EMC Forum survey results. The role that technology plays in an organization’s future makes it essential that CIOs are involved with CEOs and COOs in the decision-making process, Bhaskar said. Organizations are well aware of the potential influence that Third Platform technologies can have on a business. According to the EMC Forum survey, 88 per cent of respondents in the UAE expect next-generation technologies, such as mobile, social, cloud, and Big Data, to give their organization a competitive edge. IT spending predictions in the region also reflect the rapidly growing interest in the promise technology holds. According to Gartner, Inc. Middle East IT spending is projected to total USD 211 billion this year, an 8 per cent increase from last year. Businesses that are not prepared to make the full transition to third platform technologies are implementing a middle-ground solution. More than half (54 per cent) of respondents identified a need for joint public and private cloud services – a hybrid cloud – as a means for greater agility and security, according to the EMC Forum survey results. “We must not forget that one solution cannot fit all requirements. Captured data is heterogeneous, and so different platforms are best suited for different applications. This is why many companies will find a hybrid approach works best and is more realistic. 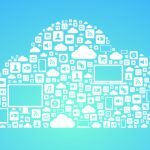 Enterprise workload applications, such as those relating to customer relationship management and human resources, are likely to be easy candidates for putting on the public cloud. However, core workload applications, those that are at the heart of the business and play an important role in creating its competitive advantage, are more likely to remain on premise. These could include applications that help manage manufacturing, as well as research and development,” Bhaskar said. Condo Protego is an EMC Signature Partner and Tier 1 partner, as well as a certified EMC Services Partner. In 2013, the firm was rewarded the EMC “Best Enterprise Storage Division Partner in the Gulf” Award in recognition of its design-led consultative selling and project implementation.